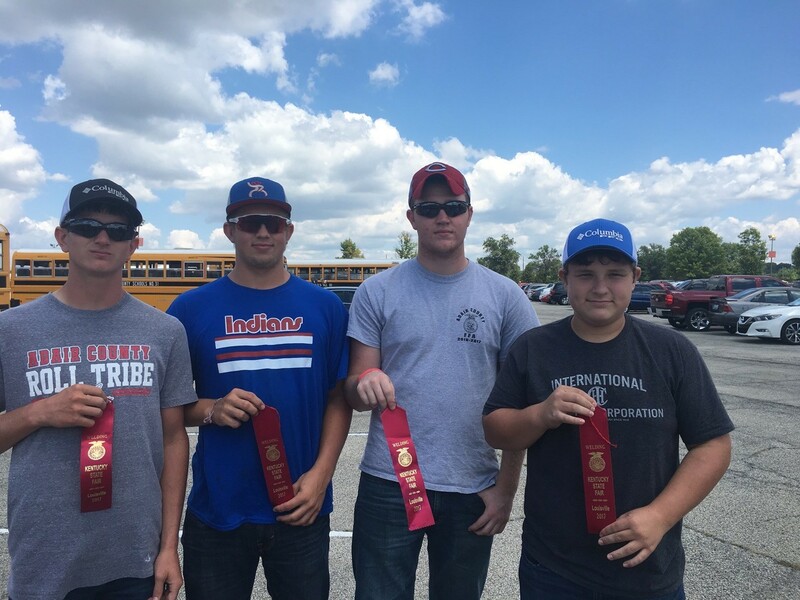 The Adair County FFA won first place in the Best Overall Ag Mechanics Exhibit and first place in the Large Restoration Contest last week at the Kentucky State Fair. The large restoration project was conducted with a 1951 Farmall Super C, owned by Orvis Grider, and restored by members of the Adair County FFA. Students who worked long hours on the project were, Mason Carter, Collin Dykes, Brady Baker, Gabe Cowan, Cody Hourigan, Jacob Campbell, Bryant Smith and Clint Garrison. Also, the Adair County FFA Welding Team placed 5th in state FFA Welding Career Development Event at the Fair. 2nd Place FFA Quiz Contest by Ty Cheatham. 2nd Place Floriculture Judging by Elizabeth Rexroat, Ty Cheatham, Maddie Harmon, and Kiley Feese. 9th Place Nursery Judging-Sarah Hancock, Tori Kimbler, Ashley Hadley, and Dana Greer. This is the third straight year that the Adair County FFA has taken home the first place ribbon in the Ag Mechanics Exhibit for Large Restoration. Congratulations to all ACHS FFA students for their outstanding accomplishments both in and out of the classroom.